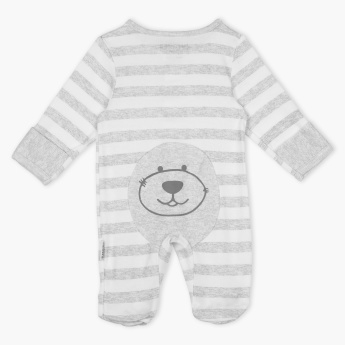 Make your little one feel snug in this adorable sleepsuit that is skillfully crafted in a soft fabric. 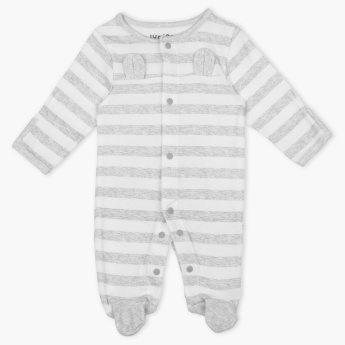 The front snap button closure ensures fuss-free dressing and the closed feet style with built-in scratch mittens will keep the little feet cosy and warm. Features : Pure cotton made closefeet sleepsuit with build-in scratch mittens & front opening snaps closure for easy dressing.